Shirley Fleming is a long-time advocate for equity and social justice in health and human services. She has dedicated more than thirty years of her public health career to working locally and nationally as a provider, administrator and advocate to assure that all people, especially those who are disadvantaged, have the opportunity to enjoy the highest level of health and engagement in human society. This includes being able to develop their God-given gifts and talents. Prior to retirement, she operated as the second ranking public health officer for the City at the Chicago Department of Public Health. She was appointed to this position by Mayor Richard M. Daley in December, 2000. Her responsibilities included working collaboratively with other City Departments; governmental and private agencies (state, local and national) to enhance secure and coordinate the resources and public policies that are required to achieve the public health mission and vision of healthy people in healthy neighborhoods. She retired from this position in March, 2004 to respond to God’s call to attend seminary and do the work of health, healing and social justice. Her current ministry focuses improving and transforming personal and community health by utilizing the faith beliefs and practices to heal those who live on the margins, liberate their gifts and engage them in the work of creating just and loving relationships and systems of care. 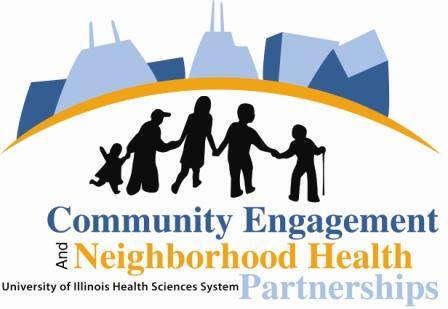 In March of 2013, she was called to be the co-director of The Center for Faith and Community Health Transformation (The Center), a collaborative between Advocate’s Health Care and the Office for Community Engagement and Neighborhood Health Partnerships at the University of Illinois at Chicago. Throughout the life and history of The Center she has worked on various Center projects as a consultant. Dr. Fleming received her Bachelor of Science in Nursing from St. Xavier College, School of Nursing in 1972. She received her Master of Science in Nursing from the University of Illinois, College of Nursing in 1977 in MCH with a specialty in nurse-midwifery. She earned a Doctorate in Public Health from the University of Illinois, School of Public Health in 1994 with a special focus in community health and maternal-child health and a minor in health services. She accepted her call to ministry in 2002 and graduated in 2007 with a Masters of Divinity from Chicago Theological Seminary. 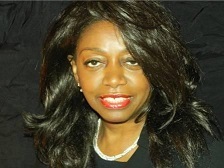 She is a member in discernment with the Chicago Metropolitan Association (CMA). She is an ordained minister in the United Church of Christ (UCC). She has been an active member of Trinity United Church of Christ’s health and wellness for more than 16 years and its Justice Watch Team. Dr. Fleming has been recognized by national and local organizations for her commitment and contributions to health equity and health improvement. She is the recipient several local and national awards. She has had the privilege of serving in leadership positions on numerous local and national academic, faith-based and governmental boards that are focused on understanding and eliminating health inequity across the lifecycle. She has a special passion and interest in community-driven strategies for improving maternal and child health. Dr. Fleming has been married to her best friend David for over forty years. She is a lifelong resident of the south side of Chicago. God blessed their union with two wonderful children (Danyetta Gwendolyn and David). She is the proud Nana of Eden, Daniel Jesus, David and Jonathan David.